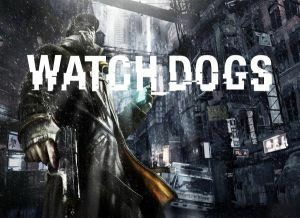 Players control Aiden Pearce, a former thug turned "grey hat" hacker who is seeking revenge to the people behind his niece's accidental death and the continuous harassment of his sister and nephew. This open-world game will take you to the various districts of modern-day Chicago. With his access to the ctOS network, Aiden can hack into various electronic devices to his tactical and operational advantage. Welcome to Supercheat's unofficial guide for Ubisoft's hacker-themed open world game, Watch Dogs. This guide will cover every activity, sidequest, Collectibles and of course main campaign missions. Please use the menu on the right to navigate. For your convenience, all activities are listed per district, with their own individual walkthroughs or notes. Their collective list are covered in the dedicated sections of this guide. This guide is currently in progress. Please use the Guide Updates feature to get notified about the latest updates of this guide! Ahh come on im stuck and i dont know where to go or what to do next please finish the cheats and walkthoughs PLEASE! !